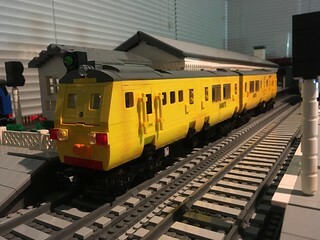 For awhile I'd been wanting to make another Class 80 train, particularly the yellow sandite, but the price of the old style train windows in yellow put me off. So I eventually decided to go ahead and make it without the proper windows. Sandite is a substance applied to the rails during autumn/winter. 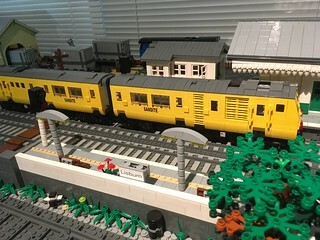 It operated as a 4 car set up until 2017.